Yes! You can get over it – so do it – NOW! How many Monsters did you have to deal with in your life up until now? Put that fight behind you. You are already a success, the only thing standing in your way of being who you really are, is you; your mind, your thoughts, your fears. Fear of not being good enough, fear of being too young, too old, too thin, too heavy; fear of not being smart enough, coming from a different country and not fitting in, being rejected, not having enough money, and the list goes on. What’s Your Monster’s Name? tackles all areas of your life, not just one. As we are multi-faceted, so is the content of the book. The concept of the book is to shine light on areas in someone’s life that are creating the “Monster” and that we can turn it into a teacher. Interviews with people telling me their way of handling challenges and how they are dealing with situations by applying a certain life skill; my own experiences and thoughts on some of the challenges and how they affected my entire life until now. All the people I interviewed for this book have their unique way of handling challenges or not so challenging situations from which everyone can learn. 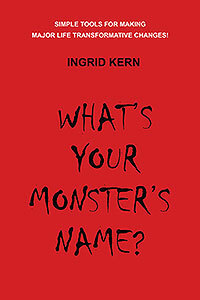 Ingrid Kern grew up in Vienna, Austria, being physically, mentally and emotionally abused by her alcoholic father. After his death she dropped out of school at age 18. She worked as a model throughout Europe and played on the stage in Vienna for one Season. 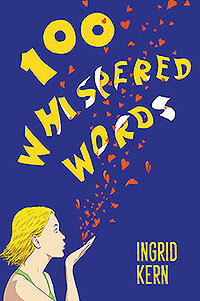 Ingrid then moved to New York and got married. 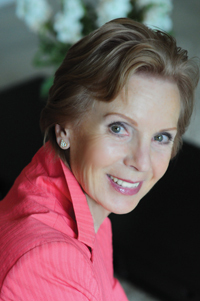 After her divorce she moved to Los Angeles, where her actual healing journey began. She published two books of Poetry: Volume One and Words From An Unchained Heart. She received several awards for some of her poems including the Poet of Merit Award from the International Society of Poets for her poem “9/11.” Several poems were featured in the Brentwood News.